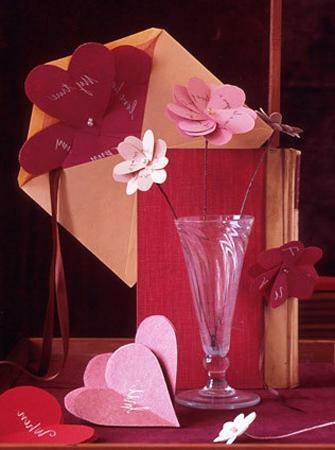 Paper crafts are popular activities for kids. 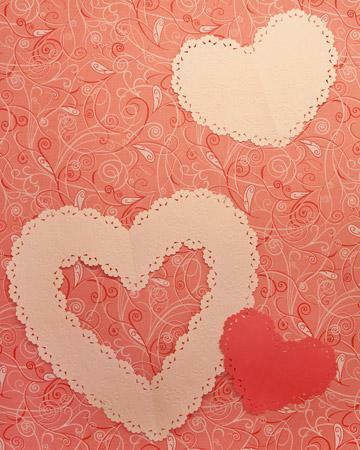 Most young children start doing paper crafts with parents and continue to enjoy doing crafts in school. Simple, quick and easy paper crafts for kids are fun, especially when children can make small gifts or decorate their rooms with their colorful creations. 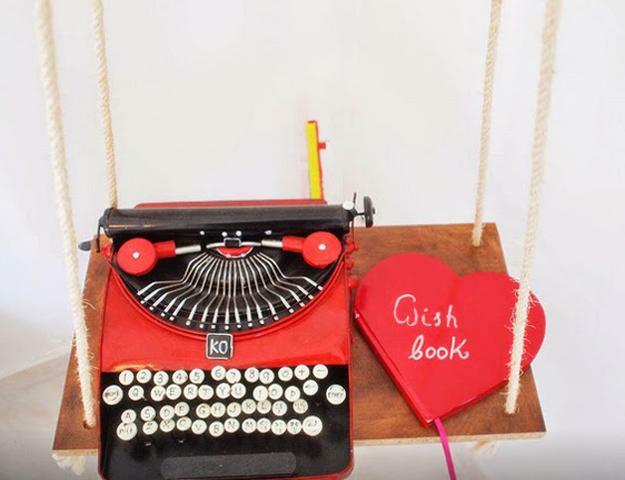 Lushome shares wonderful Valentines ideas for crafts which will bring more joy and love into all homes with children and make the Valentine Day very special for kids, their parents, and friends. 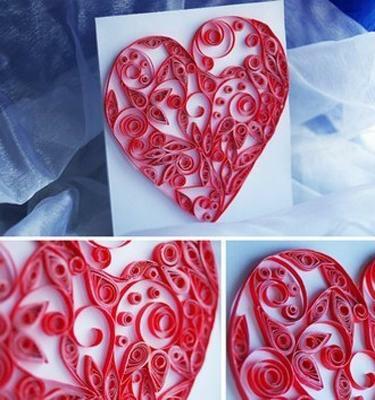 Paper crafts are fun ideas for Valentines Day. 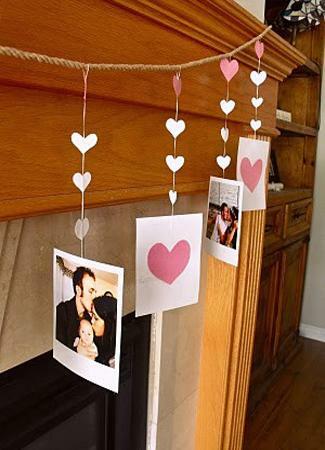 They vary offering many playful and humorous designs that brighten up the romantic holiday, but traditional hearts decorations are the easiest to make and use for home decorating. 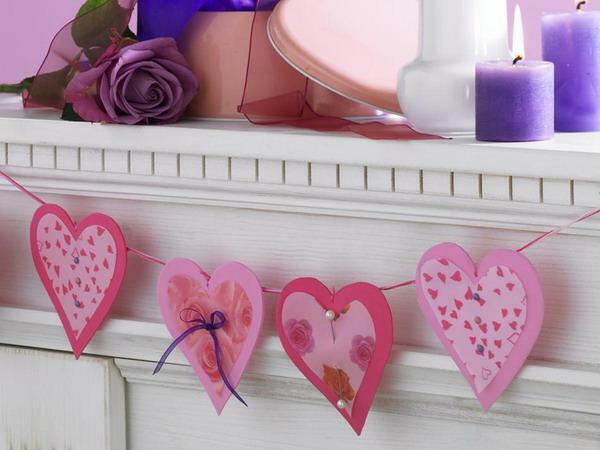 Heart-shaped crafts in pink, red and purple colors and paper hearts in any color, look great on Valentine’s Day cards and add warm accents to garlands, hanging wall decorations, and table centerpieces. 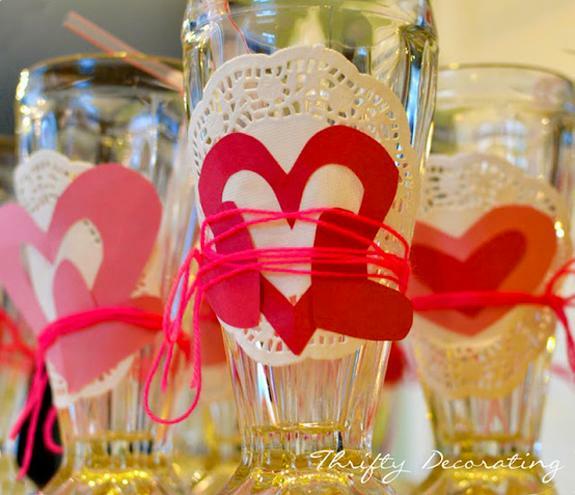 There are several, attractive and bright color options which make hearts decorations in various sizes and shapes look exciting and romantic. Pink, purple, red, white are the most popular options. 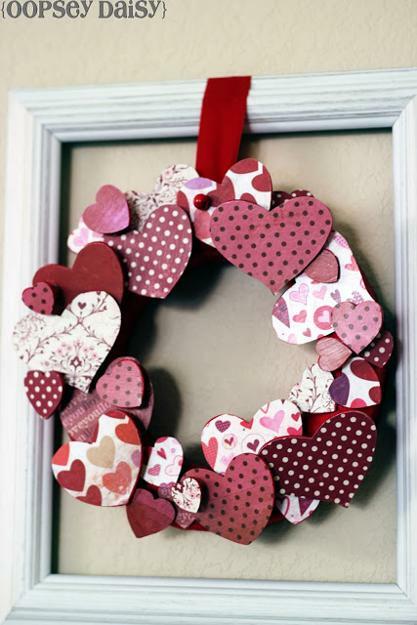 Here are inspirations for handmade Valentine’s accents, but children are so creative, they can surprise and come up with their unique and original hearts decorations. 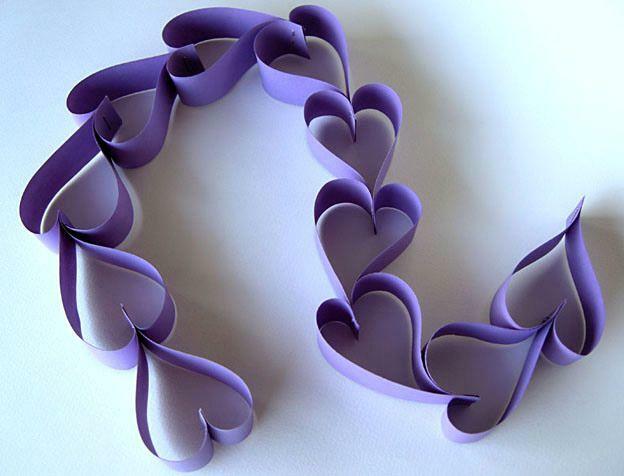 Paper crafts are a terrific activity for kids. 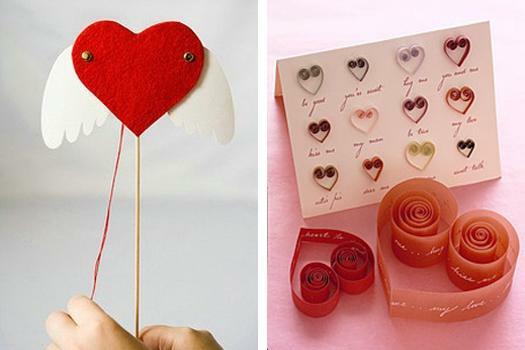 This simple type of art and craft projects is stimulating and exciting. Perfect for spending quality time with kids, paper craft ideas offer fabulous designs to explore creativity, entertain children and keep them busy. 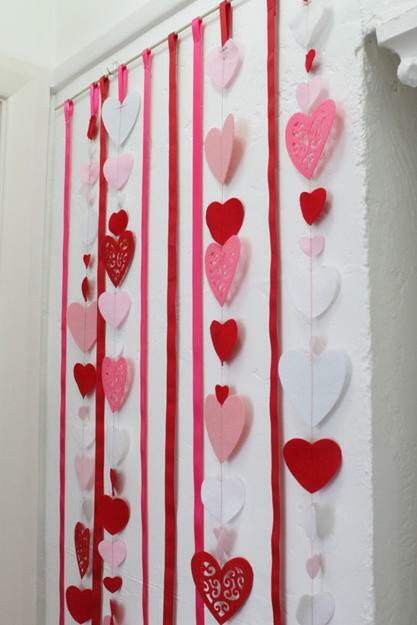 Creating lots of hearts decorations is an easy and quick way to add a bright and festive feel to home decorating on Valentines Day. 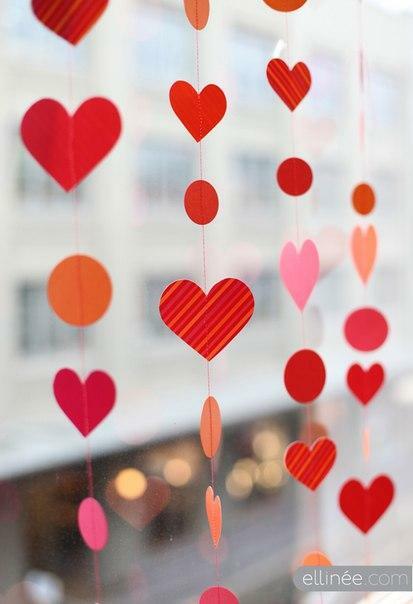 Let your imagination run wild, make garlands and window decorations with colorful hearts. 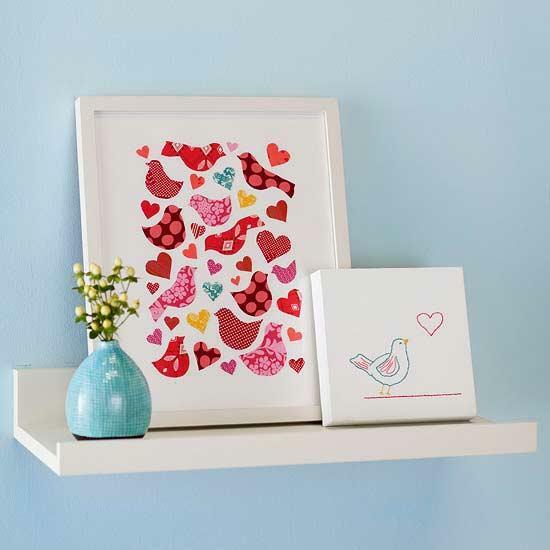 Add hearts to your table setting and beautify Valentines Day table centerpieces with colorful crafts. 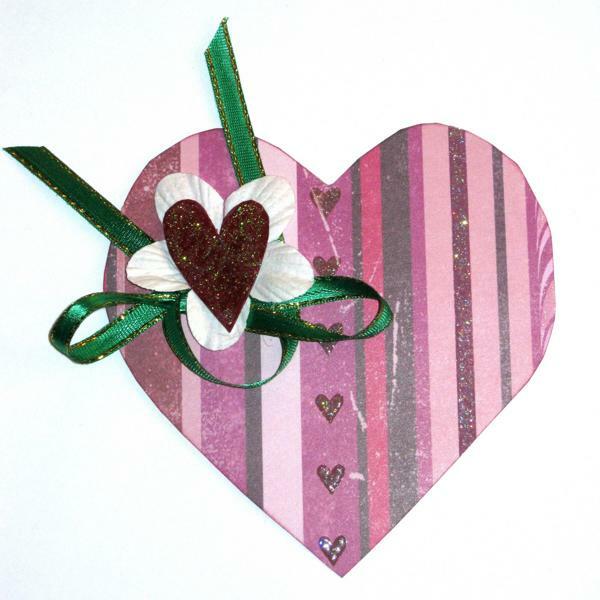 Hearts stimulate children to share and evoke kind and positive feelings. 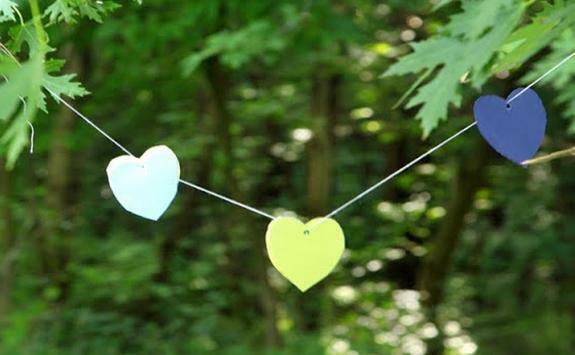 Bright hearts decorations represent loving thoughts and add creativity to artistic interpretations of these widely recognizable symbols of love and appreciation. 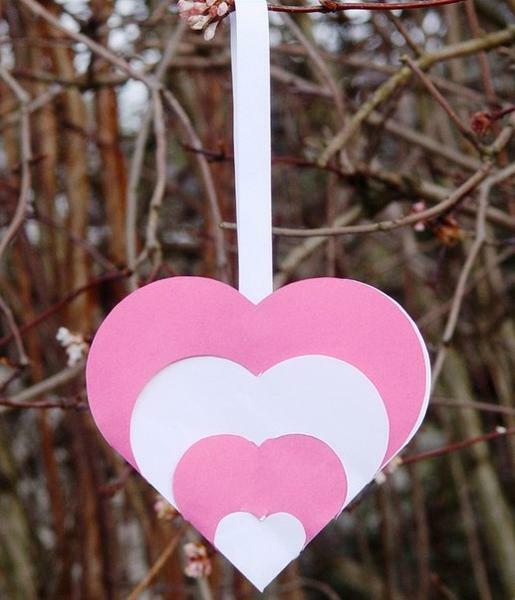 Heart-shaped crafts help young children communicate love without writing a single word, by making elegant decorations and meaningful paper gifts. 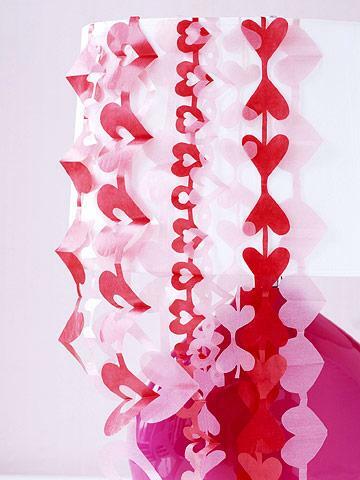 Paper crafts are versatile home decorations, suitable for different holidays and decor themes, like birthdays, Christmas or Mothers Day. 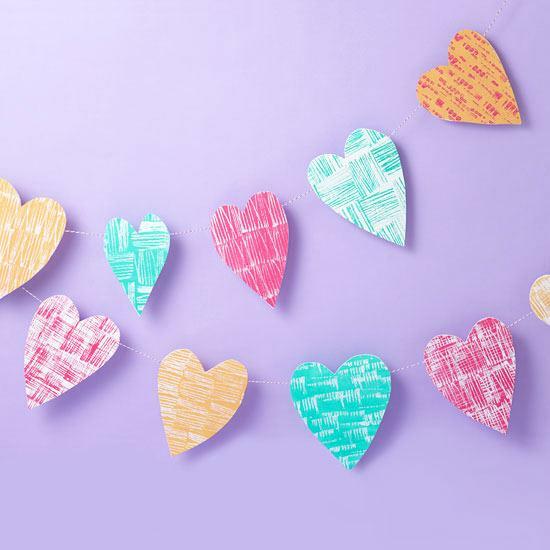 Beautiful hearts decorations made with paper in different colors and shapes are a fabulous way to enjoy young kids skills and talents. 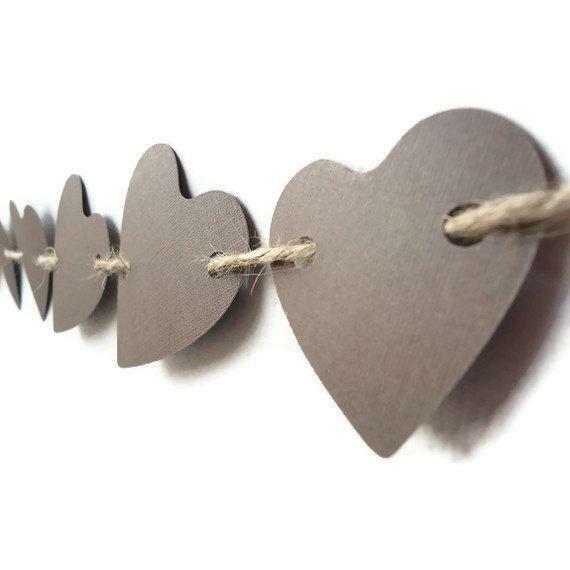 Beautiful hearts decorations can vary in shapes. Colorful buttons, beads, ribbons, feathers, nut shells and personal drawings or letters can decorate the handmade paper crafts. 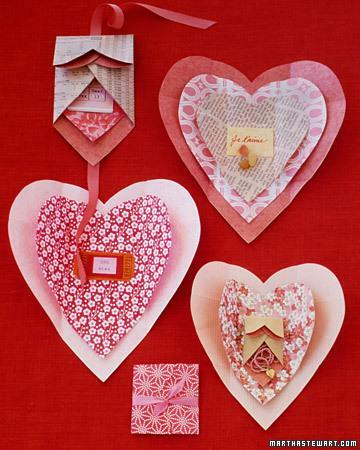 Different types of paper add textures to the hearts and invite to enjoy experimenting with various materials combinations. Paper crafts are about freedom and exploring your children imagination. 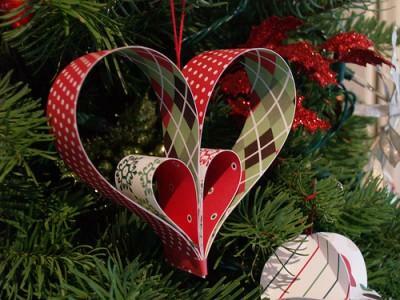 While making original, warm and very personal home decorations and gifts, kids can learn the art of recycling and develop very creative craft ideas that are inexpensive, impressive, and beautiful.